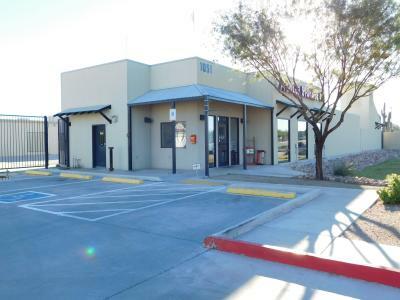 Here at U-Haul Moving and Storage of Kino Park Sports Complex, we are experts in the self-storage business. Although we still rent trucks, we also offer many services to ease your moving experience. 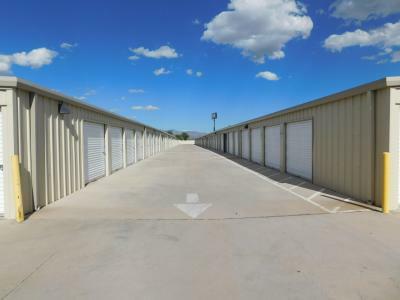 This location has all the state of the art security and access systems for your self-storage needs. We also provide climate and non-climate controlled storage units. Our climate controlled storage is equipped with A\C, not swamp coolers. Your Storage Place is kept meticulously clean and ready for your belongings. We take great pride in providing you the cleanest rooms in Tucson. A regimented cleaning schedule includes daily patrols of the facility, pest control, and routine surveillance audits. U-Haul's motto has always been ''Moving Made Easier.'' We provide several tools and features like wide, well-lit hallways and free use of our courtesy carts to make your moving and storage experience a breeze. Our showroom contains many items for your moving supply needs, including boxes, tape, and protective materials. Another feature to make your moving experience an easy one is our driveways, which are extra-wide to allow any size vehicle to maneuver and access all storage rooms. Ask about our Moving Help program if you need an extra hand! Take exit 262 on I-10. Take ramp right for Benson Highway toward Park Ave. In 0.8 of a mile, make a U-turn to stay on Benson Highway and then arrive at our location on the right.